Visitors to Acadia National Park wander trails atop Cadillac Mountain in July 2016. ACADIA NATIONAL PARK, Maine — For the first time in 27 years, Maine’s only national park got more than 3 million visits in 2016, the 100th year since it was founded. 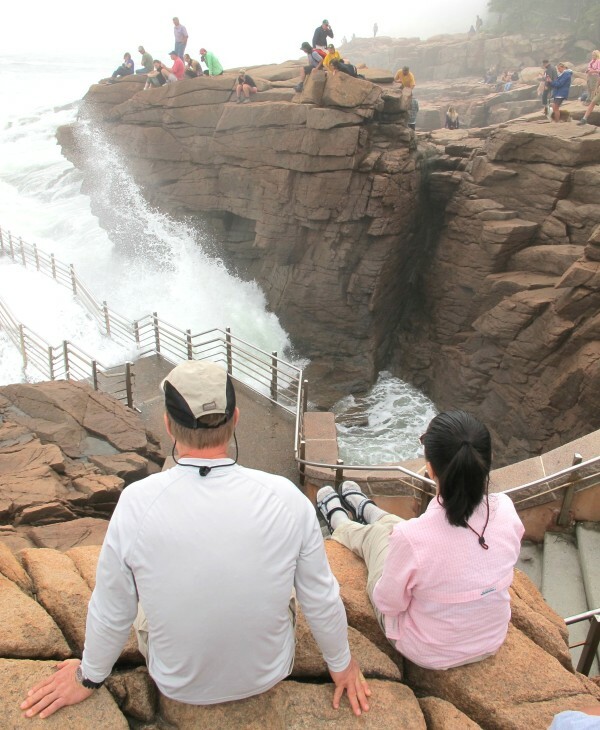 Park officials on Wednesday said that the number of visits Acadia is estimated to have received last year is 3.3 million, the highest such estimate since 1989, after which it changed the method by which it calculates the amount of foot and vehicular traffic it gets each year. That estimate represents a 17.5 percent increase over the 2.81 million visits the park is estimated to have received in 2015. The highest previous annual estimate under the park’s current methodology, which it adopted in 1990, was 2.84 million visits in 1995, according to Acadia National Park statistics. The 2015 total had been the second-highest visitation total under that same methodology, until now. John Kelly, spokesman for Acadia National Park, said that preliminary estimates from last summer and fall suggested that it would be a record year for park visitation. He said the park does not have any scientific information about why visitation to Acadia jumped by nearly half a million last year, but likely key factors include long stretches of favorable weather, an improving economy, and Maine tourism marketing efforts. 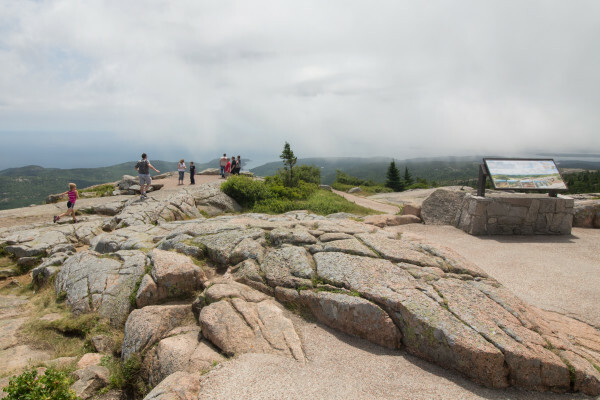 Promotions for the 100th anniversary of Acadia and of the National Park Service, both of which were founded in 1916, also are believed to have played a significant role in the increase in the amount of visitors last year, he said. To calculate visitation levels, the park estimates the number of times any person enters the park, as opposed to estimating the number of different visitors, so that one particular person could account for one visit or 20 visits, depending on how often that person sets foot in Acadia. The park is closely interwoven with the communities that surround it and has hundreds of frequently-used entry points, making an exact count on the number of visitors virtually impossible, given the park’s limited resources. Under the prior methodology, estimated visitation levels from 1982 through 1989 ranged from 3.5 million in 1982 to 5.4 million in 1989. Because of differences in the complex array of statistics and formulas used in calculating visitation, park officials avoid comparing pre-1990 visitation estimates with those compiled since 1990. Regardless of the accuracy of the pre-1990 annual totals, however, Acadia officials have said they have confidence in the general accuracy of the year-to-year trends in the pre-1990 figures. Annual estimated visitation levels to Acadia have held above 2 million visits per year since 1990. The most recent year in which Acadia is estimated to have received less than 2 million visits was in 1965, when it had 1.7 million. Along with the increasing visitation levels of recent years come management challenges for park officials, including congestion at some key locations and new types of activity in the park. Kelly said that, to help address these challenges, the park distributed fliers last year encouraging visitors to enjoy Acadia without driving their personal vehicles into the park. Acadia officials also are working, with public input, on a long-term transportation management plan to help reduce crowding at some locales during peak summer season, he said. “We continue to manage visitors by educating and informing them about how to best plan their visit, providing facilities and services that facilitate appropriate park uses, and enforcing rules that protect both the visitors and resources,” Kelly said.